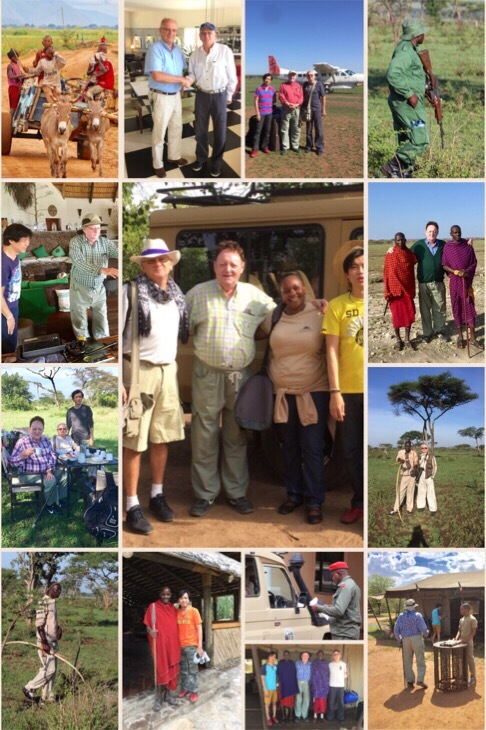 We had been impressed with our friends’ recollections of their African experiences after visiting Tanzania. We started thinking about a safari in Africa. Where to start? The choices were huge. 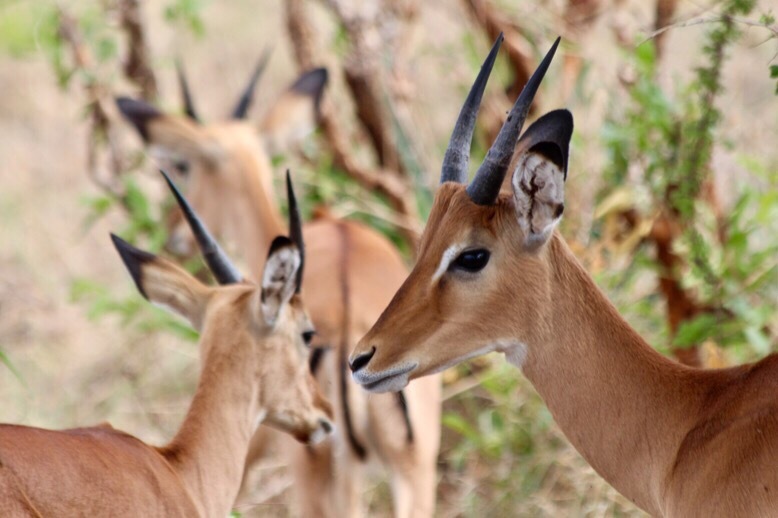 In Swahili safari means ‘journey’. 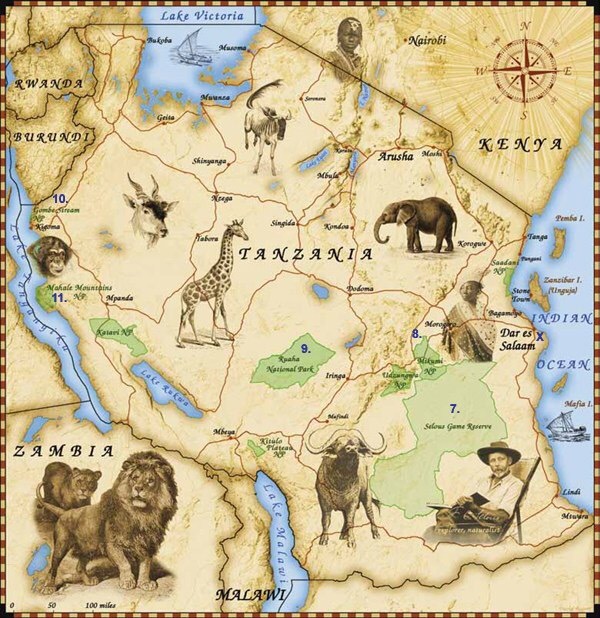 We had been planning ours for a long time and had heard of Tanganyika Expeditions repeatedly. I wanted ours to be special. Memorable. Specialising only in Tanzania meant they had built up a formidable reputation and had superb people working with them. We planned to fly out to Kilimanjaro International Airport in Tanzania and visit this wonder-of-the-world. Very few countries have set aside, preserved and conserved so much of their land for future generations. Our journey was to take place in late January and early February. We had spent many months planning and organising our adventure before finally making a choice for an 11 night safari spread over 13 days (if we included overnight on the plane from Thailand). 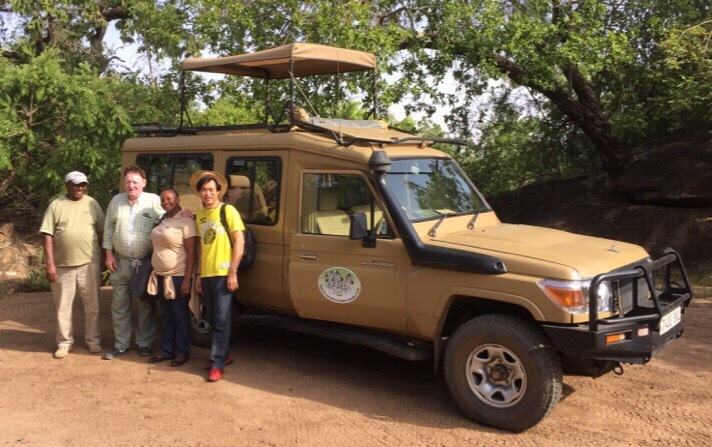 Our travel companions were African specialists, Allan and Pasit. Regrettably Pasit later had to drop-out due to family commitments. So we were three. Myself (British); Pichai (Thai) and Allan (South African). We had all become close friends after a number of adventures together. Most recently two exploration trips to Bhutan. Allan and I are both Skal members. Allan is linked to tourism and hospitality through his work with the South African Thai Chamber of Commerce. So all three of us have tourism as our common denominator. We were delighted to be also working with Kenya Airways, our airline of choice from Bangkok. On receiving our travel documents their Pride of Africa tagline seemed fitting for our journey. Firstly to Nairobi’s Jomo Kenyatta Airport, then a short international hop of one hour from Kenya to Mount Kilimanjaro Airport in Tanzania, for the start of our safari. Hemingway fans may recall his short story The Snows of Kilimanjaro and the film of the same name starring Gregory Peck and Susan Hayward. Like Hemingway we travelled to Kenya and Tanganyika (Tanzania today). Unlike Hemingway we hoped not to suffer any plane crashes in Africa nor contract dysentery. Neither did we plan to kill any animals as trophies. 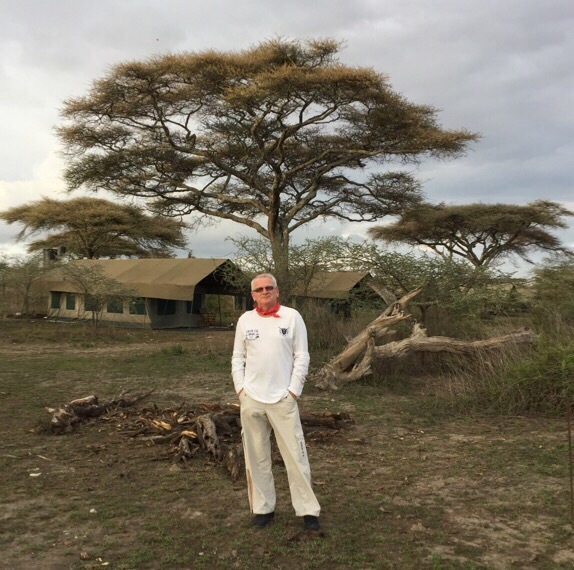 Certainly his story was exciting and unique and in this aspect our expedition was going to be a journey of a lifetime and I was sure that the memories and images I would see on my first visit to Tanzania would shape my impressions of this immense continent for the rest of my life. From this point of view I had much in common with Hemingway. I was also about to learn much of what is the essence of Africa. We departed from Suvarnabhumi Airport, Bangkok on 27 January flying with Kenya Airways on the new Boeing 787 Dreamliner to Nairobi. The journey of nine hours was comfortable and the lie-flat beds in business class made a great start for the expedition. Although excited we were all able to get a few hours sleep ahead of our busy first day for our African adventure. Our transfer from Nairobi was on a new Embraer 190 jet. It was a short flight to Kilimanjaro Airport, taking less than an hour. After a short wait to obtain our Tanzania visa-on-arrival ($50) and showing our ‘yellow book’ with details of our yellow-fever inoculations we quickly retrieved our luggage and were met by Christopher who was to be our driver/guide/mentor/teacher and all round good guy for the next 12 days. We all warmed to him immediately and over the coming days we’re grateful for his encyclopaedic knowledge. He also taught us a few words of Swahili – Asante (thank you), Karibu (welcome) and Pole Pole (slowly, slowly). Christopher had amazing eyesight too – being able to spot distant animals with radar-like precision. Our vehicle was the impressive Toyota Land Cruiser. A 7-seater vehicle, a cross between a Land Rover and an Hummvee. It was huge inside and out. An all terrain 4×4. We had shovels, deep water snorkels and massive tyres. It stood high and proud above the dirt. It was the safari workhorse of choice – reliable and rugged. It had good height and visibility. With a removable roof and protective sun-canopy making for perfect 360° photo shooting. A fridge for ice cold soft drinks, along with electrical sockets to charge phones and camera batteries. 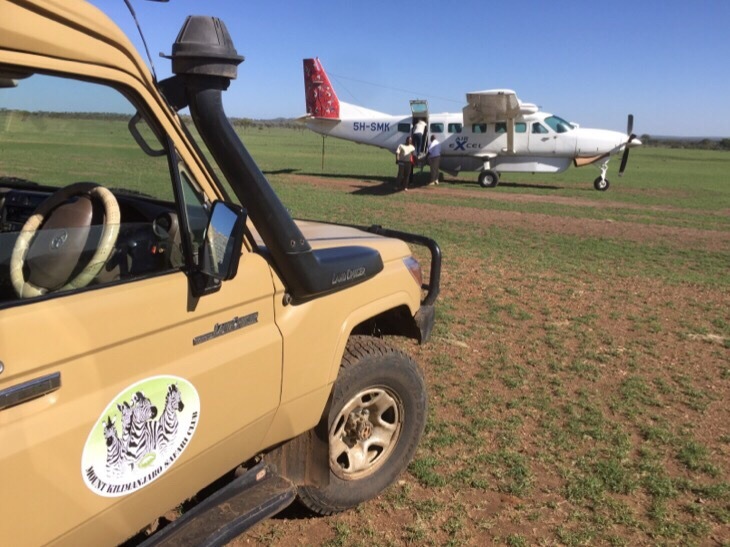 We quickly left the airport compound and were on the main highway to Arusha in no time before heading into the bush and the Tarangire National Park. It was just as I imagined. 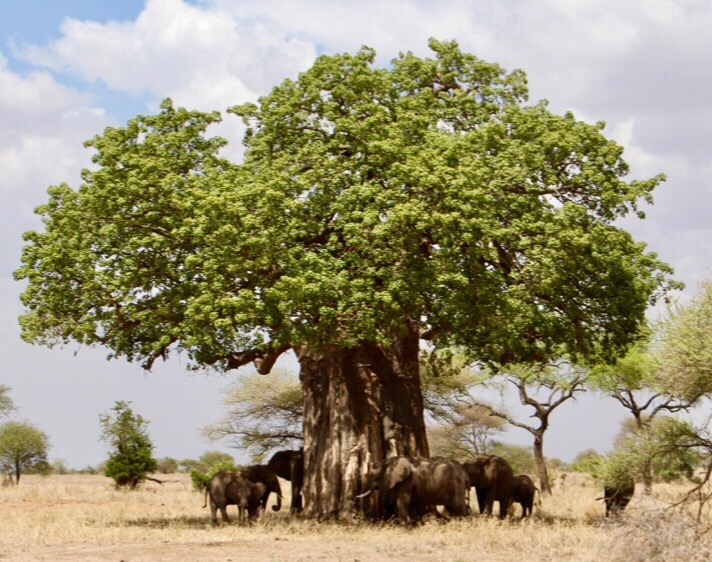 Huge great Baobab trees (the Upside-Down tree or Bottle tree), Acacia trees and the aptly named Sausage tree. The first animals that we spotted were zebras and a herd of elephants. Then later gazelles, wildebeest and giraffes. The landscape was just extraordinary. Our first night was spent at Maweninga Camp which sits high on the escarpment atop of a very impressive granite boulder area. 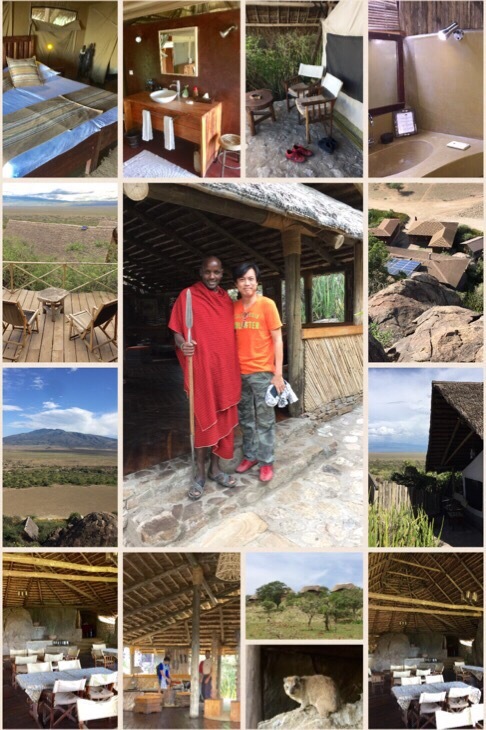 This camp is located in the heart of Tarangire National Park with great views over Lake Manyara and Lake Burunge. After a long first day, leaving home in Bangkok at 21.00 hrs the day before, we arrived at the camp at about 15.00 hrs local time, 22 hours later. We spent two nights here. The camp has free Wi-Fi in the public areas and all electrical power in the camp is provided from solar panels located within the campsite. All 16 tents are equipped with very comfortable beds, patio furniture and ensuite facilities. Camping just became glamorous! There were stunning views of the park and our two nights here made our African adventure unforgettable. More so for Allan. At breakfast he explained he had a visitor in his tent last night. A small Hyrax – about the size of a baby pig. It’s actually related to the elephant but you’d never guess. Allan’s visitor sneaked in the zipped-up tent somehow and startled him at 03.30 am. 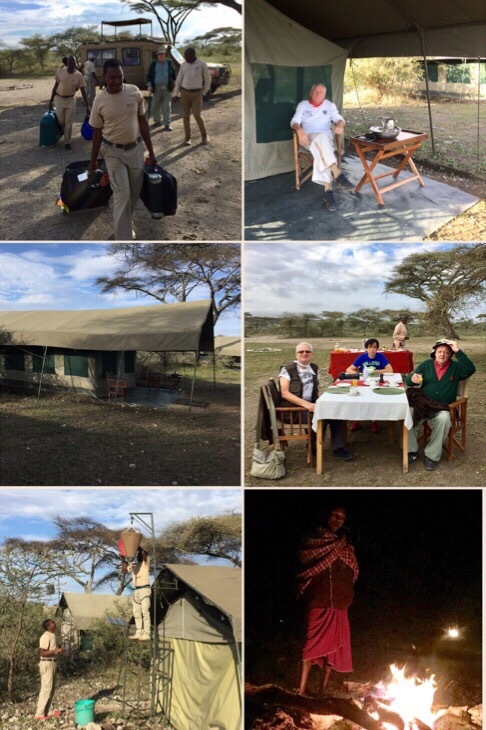 Our Massai night watchman told us that the camp also had a leopard visitor in the night but it just walked through the camp…no dramas! After breakfast we left the Maweninga Tented Camp. Our first night was comfortable with temps about 32-35°C day time dropping to a much cooler 14°C at night time. During our second day safari-drive down near the river, we came across an incredibly rare pack of wild dogs. Fantastic! They had been hunting and unlike the Mad Dogs and Englishmen of Noël Porters song, these dogs were resting in the mid-day sun under the shade of an Acacia tree, within sight of the wet marshland beyond. Christopher explained that Tarangire National Park comes into its own at this time of year with the almost permanently flowing Tarangire River a haven for elephants with young, moving amongst the spectacular Baobab trees and dry-land shrubs, and many different antelope and large buffalo herds are seen. 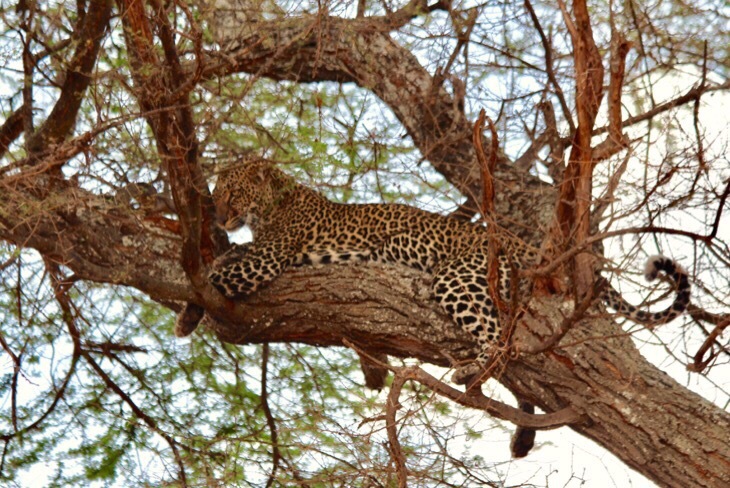 It is also renown for sightings of cheetah and leopard. We had easy access and the 4×4 tracks wound in and out of copses of riverine trees and out across grassland habitat. 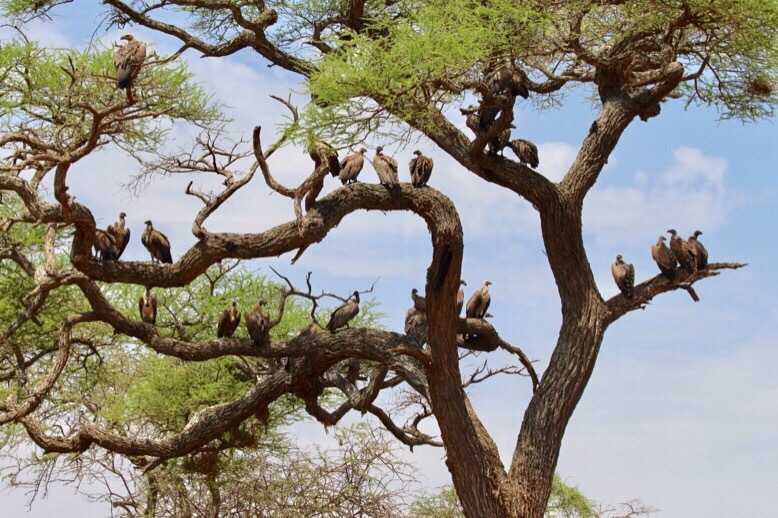 We noticed a flock of vultures in a nearby tree. Christopher thought there must be a kill nearby. We later found a large dead Eland (a savannah and plains antelope found throughout East and Southern Africa) and not far away a female leopard in a nearby tree looking-out over its recent kill. She was not entirely comfortable with our presence showing signs of agitation and annoyance. We kept very quiet! The vultures had also sensed the leopard’s presence and were waiting to join in the ‘feast’. This was Africa! 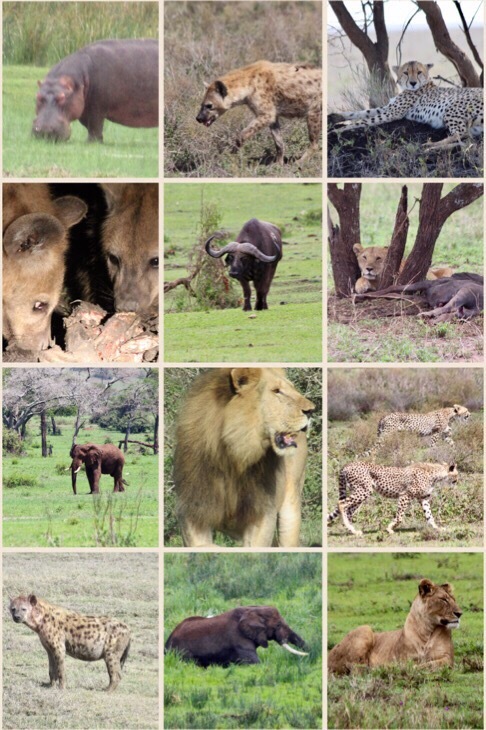 Our first few days sightings of Africa’s wildlife had so far exceeded my expectations. It was a wonderful day and we had a picnic lunch down by the river not far from the leopard in a tree. Later that afternoon we saw a pride of four lions sleeping under a distant tree. Wonderful! 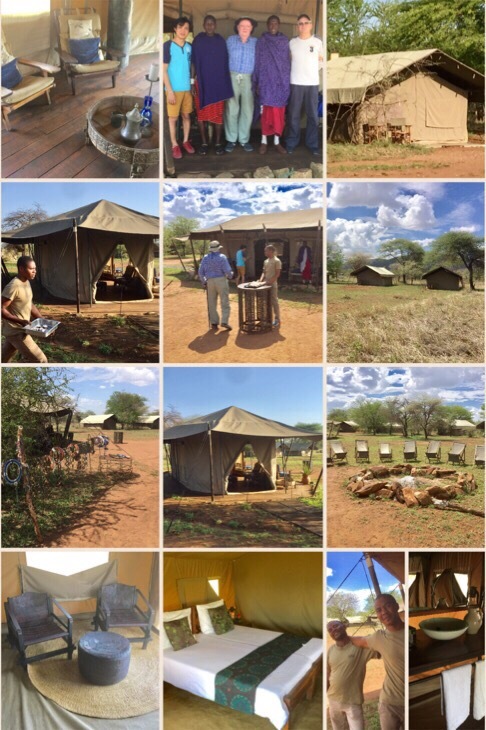 On the third day we left camp and headed towards Lake Manyara in bright sunshine. It had rained late yesterday for a short time, a surprise and welcome relief for the locals after a particularly long dry spell. There was however, little evidence of ground water on the roadway. We came across buffalo and elephants in abundance as we headed down the escarpment to lower ground. 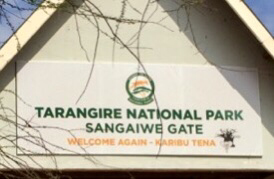 We exited the Tarangire NP at the Sangaiwe Gate and headed north to the lake. 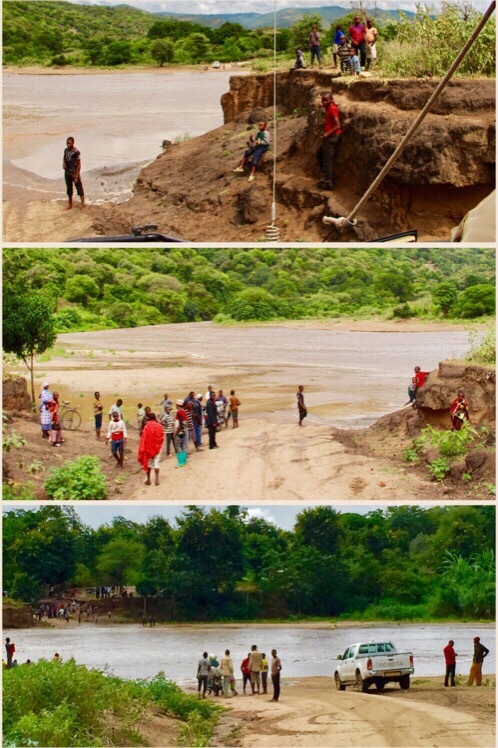 It soon became clear that the Sangaiwe Hills had received a lot more water from the recent rains, than we had at the camp. A flash flood blocked our way. What was once a substantial road was now a 100 metre wide waterway with fast flowing water. Christopher took it all in his stride. With the locals all watching and offering their opinions he quietly ignored the hullabaloo and battened down the hatches and lowered the sun-canopy and closed the roof. He told us also to close all the windows and hold-on! He revved the engine and set-off at speed. He clearly felt forward momentum would be advantageous. Thankfully the water was only a few feet deep and Christopher was able to safely drive (sail?) across. We all cheered when we reached the opposite side and regained the high ground. 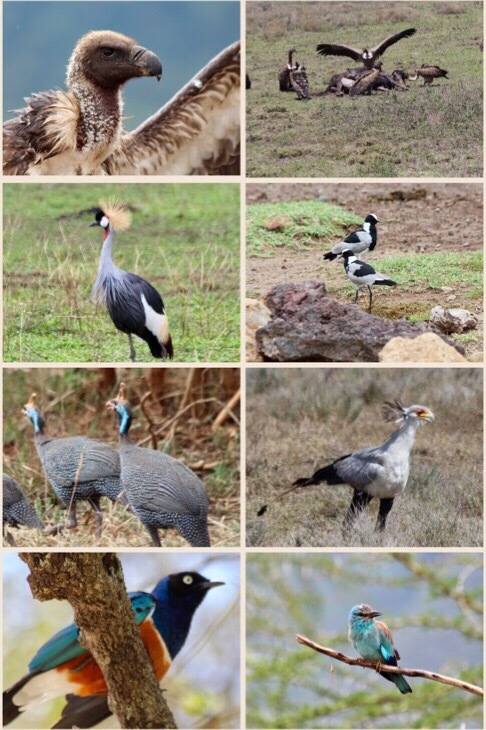 Lake Manyara National Park turned out to be amazing. Awesome bird life around the warm waters of the lake fed by underground hot springs. The springs provide the lake with a year-round supply of water, nutrients and minerals for plant growth, making for a bird lovers paradise. The alkaline waters favour pink flamingoes. Bashay Rift Lodge was our next home for two days. It was beautiful! Lush green manicured lawns; colourful bougainvillea everywhere and a swimming pool. Our accommodations were wonderful. We had a gorgeous suite with a four-poster bed. An ENORMOUS bathroom and heaps of hot water and power showers. Tents are good but this was heavenly. Bashay Rift Lodge was a pleasant surprise and one of my favourites. Dinner was under the stars and delicious. The Lodge grows all their own vegetables. We were getting used to 4-course meals. Soup was very much in vogue in Tanzania. With excellent African wines, we had a most pleasant evening. We all turned in reasonably early after a night cap in the bar. Allan had elected to stay in camp the next day and catch up on his work, but Pichai and I had an early start. We were off to meet the Hadzabe tribe! After a good overnights sleep we woke early to be on the road by 06.00hrs for the 75 min drive into the mountains. The countryside was rather more barren and desolate. As the seasons change in Africa the shades of green and brown change to yellow and beige, true safari colours. The Eyasi mountains looked yellow, beige and grey. It was very dry. We had a brilliant morning. 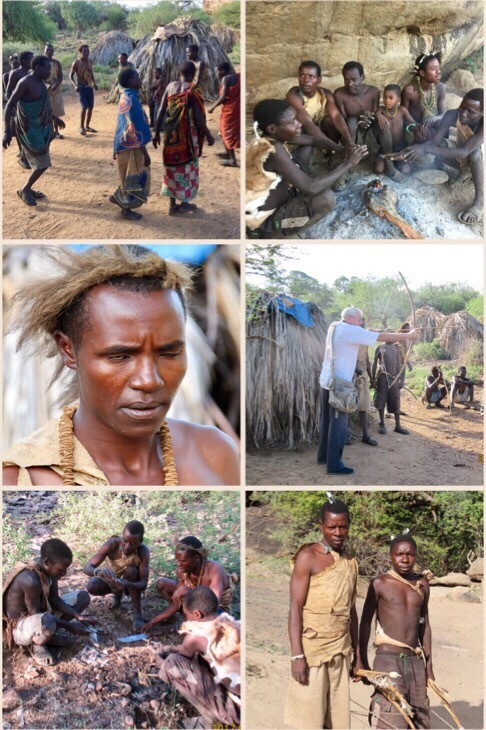 We met up with a local guide who escorted us to the Hadzabe tribe village. The Hadzabe are an indigenous ethnic tribe, living around Lake Eyasi in the Central Rift Valley. They number less than one thousand and approx 400 Hadzabe live as part-time hunter-gatherers. They have lived in this region for thousands of years. The ‘village’ was tiny, made up of a small collection of huts built from mud, sticks and grass. 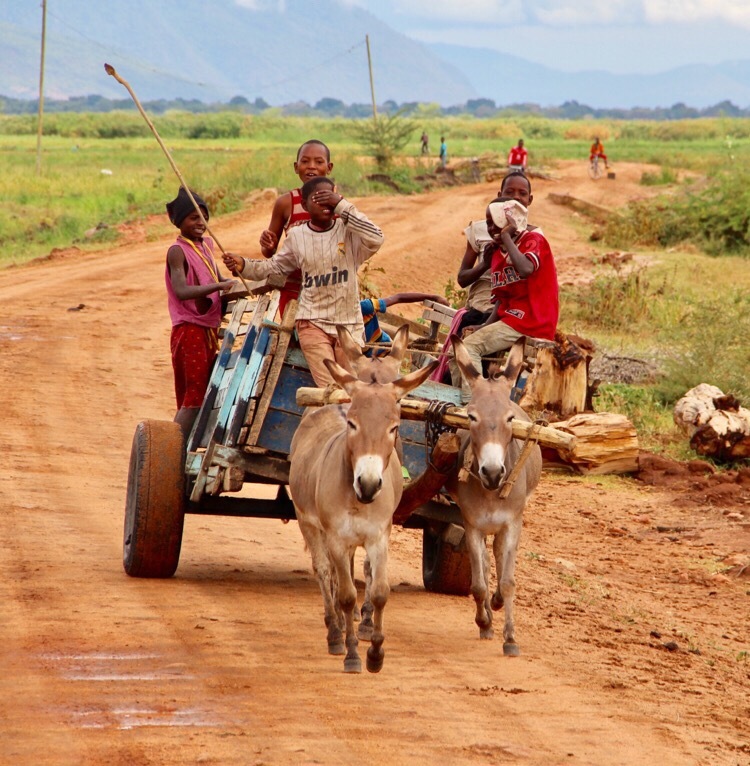 The tribe is highly mobile and move around the countryside often. We went on a hunting expedition with a few of the men of the tribe with their dogs and bow and arrows. Almost immediately they shot two wood pigeons with their wooden arrows. Faster than you can say McDonald’s they had built a fire; plucked one of the birds and had it grilling on the fire. They had their breakfast! They offered Pichai and I a piece to eat but we didn’t, playing it safe rather than risking a digestive upset. An hour later we were back at the tribal village, where we had a small archery competition. We bought a few trinkets for a total of $20 which they were very pleased with. A beaded/bone wrist band for Pichai and a small clay pipe for me, for my collection. They wished us well with a blessing dance, before we returned to the Land Cruiser. The whole mountainside was strewn with quartz. A sign that gold may also be present. I asked the guide and he confirmed that there was indeed gold in them there hills! After the hunting we made our way to watch how a local tribe melt down scrap metal to make metal items especially metal arrow heads for hunting. Afterwards we returned to the Bashay Hills Lodge to have lunch with Allan. We had a free afternoon to chill, relax or swim in the hotel pool. The Lodge was very comfortable and I so enjoyed my time there. 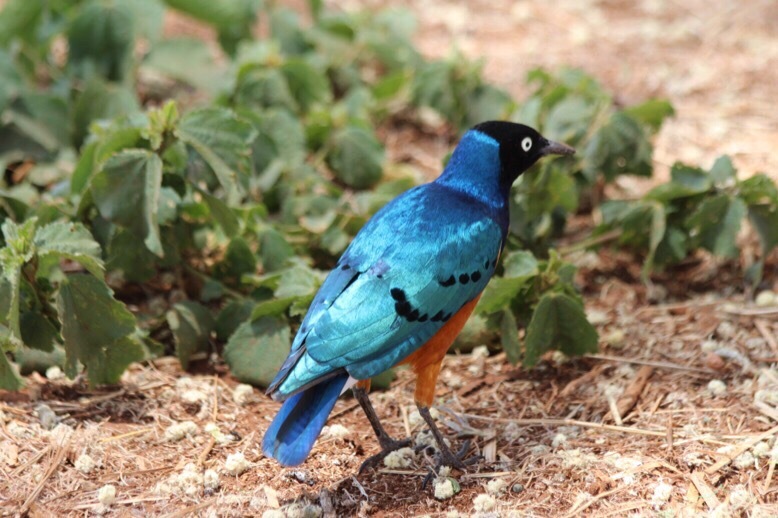 It’s ideally located only 8 km from the Ngorongoro Gate and offers breathtaking views. The Rift Valley on one side and the Ngorongoro forest and foothills on the other. The 26 rooms are set in large gardens and coffee plantations. 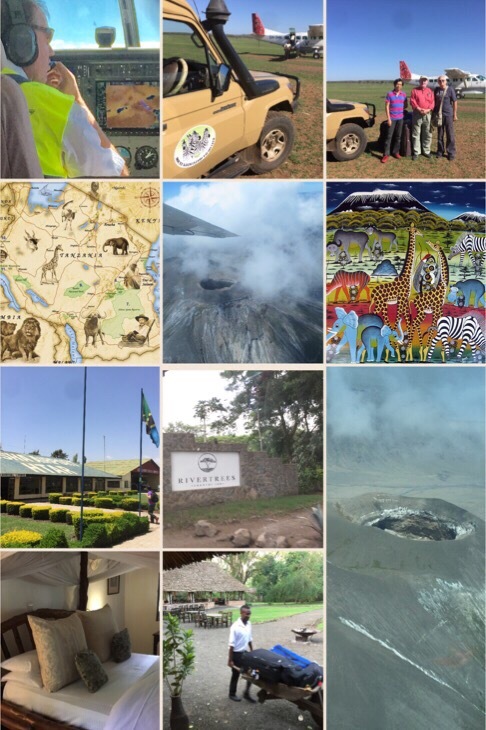 The following day we headed for the Ngorongoro Conservation Area, an extinct volcano with walls that completely enclose an area of 120 square miles teeming with wildlife. With it’s steep sides it’s a unique biosphere. A Garden of Eden. Wildlife viewing in the crater was extraordinary. 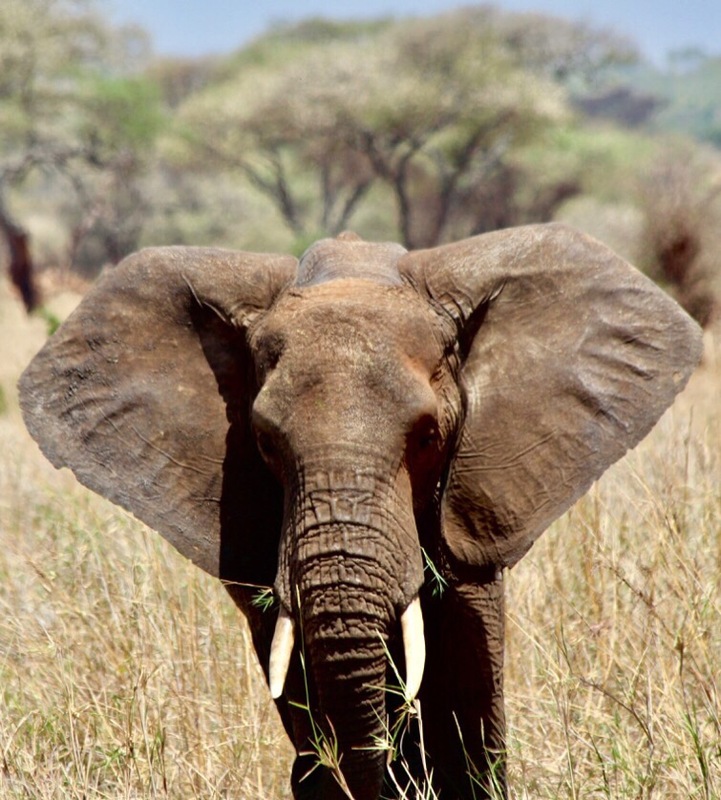 Elephants were common, but only bulls, the larger number of females prefer to stay above the crater where there was a more plentiful food supply. A fully grown elephant consumes 300 kg of vegetation per day. Rare black rhinos are here. They spend the night amongst the trees and the day in open grassland in the crater. There are also hippos, big cats and jackals. The only exceptions are giraffes, which are present in the Ngorongoro Conservation Area, but not in the crater itself because of the steep descent. Due to a permanent water source from a number of springs and streams inside the crater, the animals have no need to migrate to search for water and food. •The Ngorongoro (pronounced n-goro-n-goro) Crater is the largest intact caldera in the world, a cooking-pot shaped collapsed volcano, with a crater area of 310 square kilometres (120 square miles) including its steep slopes. The walls of the crater are 610-760 metres in height and 14.5-19 km across. •The Ngorongoro Crater is situated in the Ngorongoro Conservation Area (NCA). 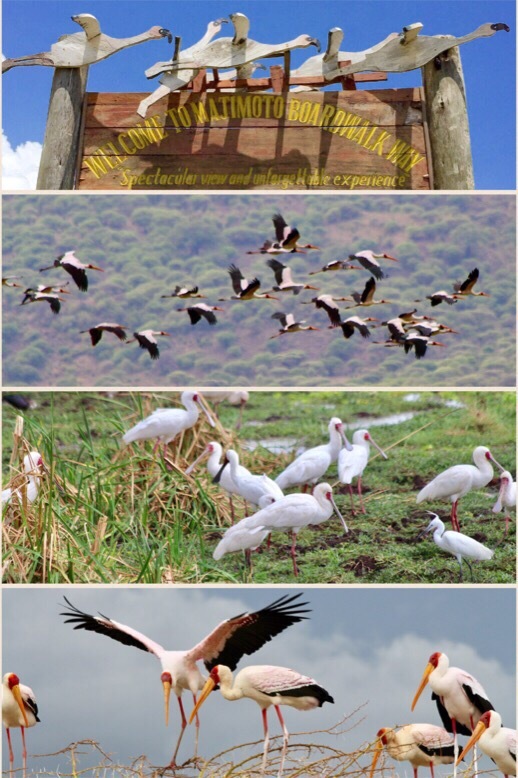 It is a protected area and a UNESCO World Heritage Site since 1979, located 180 km (112 miles) west of Arusha. •It is believed that the Ngorongoro Crater volcano was as high as Mount Kilimanjaro, one of the highest mountains in the world. 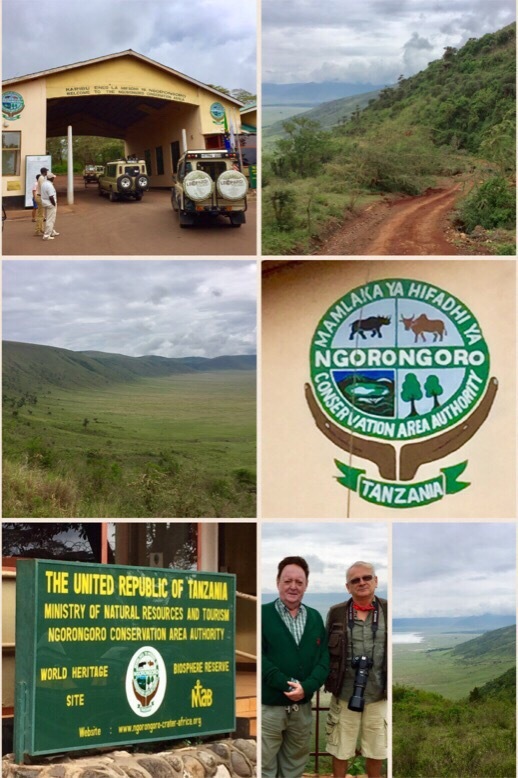 •The Ngorongoro Crater sees approximately 500,000 tourists a year, they have to have a guide and a permit. •There are a number of hotels in the area, making it easy for tourists to access “the unparalleled beauty of one of the world’s most unchanged wildlife sanctuaries” (UNESCO). •The native Maasai named the area as El-Nkoronkoro meaning ‘Gift of Life’. •Fossils found in the area suggest early man occupied the area 3 million years ago. •The first Europeans didn’t set foot in the Ngorongoro Crater until 1892. 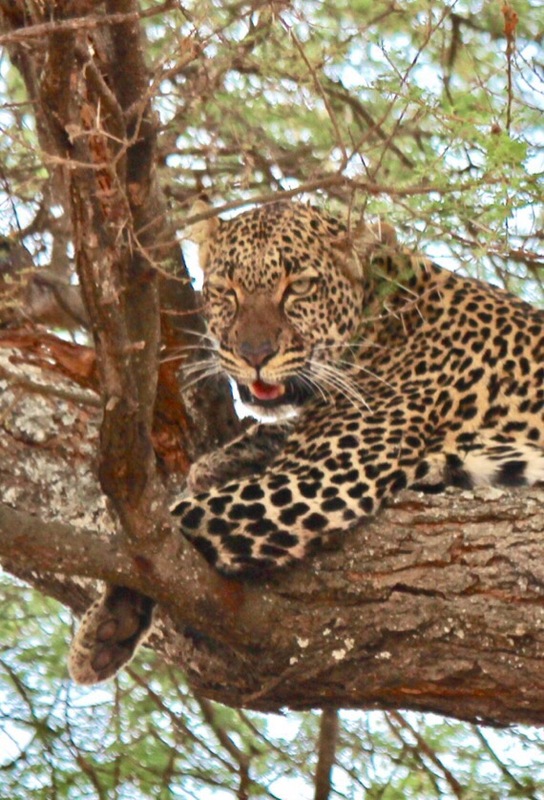 •It is the only conservation area in Tanzania that protects wildlife while allowing human habitation. Cultivation is prohibited at all but subsistence levels. •The crater has the highest density of lions in the world. 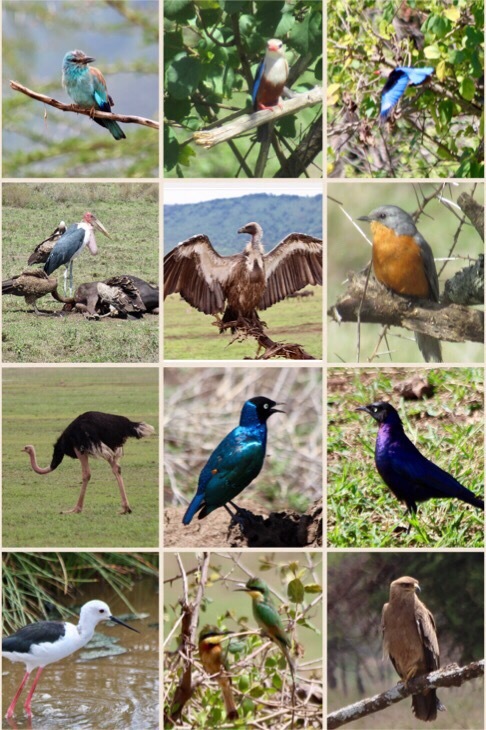 •Ngorongoro Crater is host to more than 35,000 birds and animals, most notably the rare black rhino. As we descended into the crater, by one of the steep access roads that winds its way down and around the inside of the crater, I was in awe of the huge scale of the caldera. It was my first time inside the crater of a volcano and it was utterly awesome. After one of our best days, viewing so many animals, we headed north to Olaado Camp on the border between the NCA and Southern Serengeti. Serengeti is a Maasai expression given to this unique savanna: a magical, evocative word. It’s landscape to me represented not only the colours of Africa but it’s very heart and soul. Truly synonymous. The view of a rocky outcrop amid the flatness of the savannah; the beige and yellow savannah and the ever-present Acacias, were images and memories that will be constant reminders of Africa to me. Olaado Camp is a mobile tented camp. Allowing the organisors to move to follow the Great Migration. It takes just 4 days to strike the camp completely. On our way to the camp we viewed the migration up close – a spectacular sight as thousand of wildebeest follow the rains in search of fresh pastures. We pass excellent look out spots to view the milling herds which wind and roam across the plains twice every year. 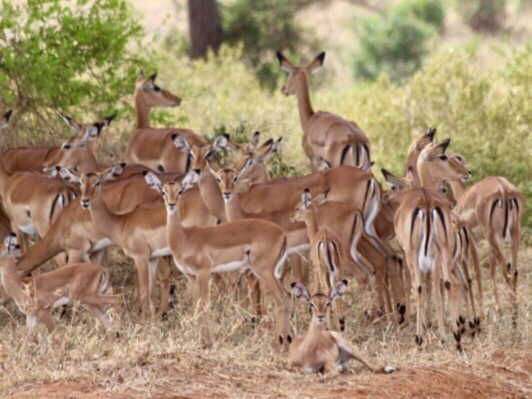 The area is ideal for full day game drives, searching for the unforgettably rich and varied species for which Tanzania is rightly famous. The Great Migration is estimated at more than 1.5 million head of wildebeest and zebra. It is part of the greatest migration of wild animals on Earth. The short grass plains here are rich in nutrition which provides the herds with the best conditions to raise their newborn. 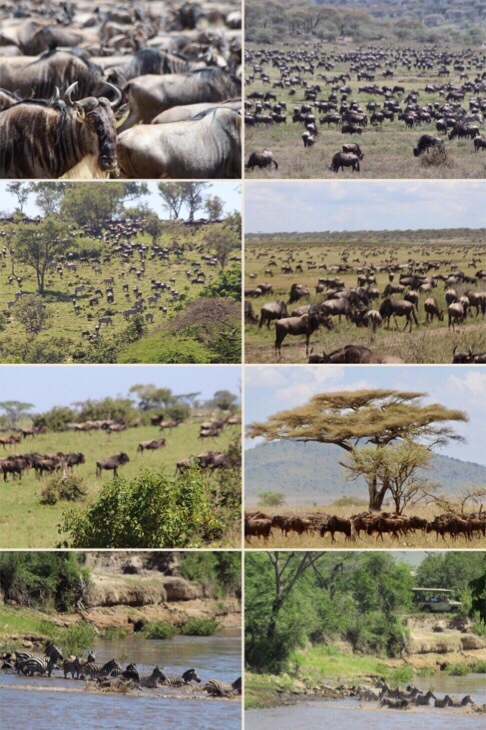 During calving season in Feb approx 8000 wildebeest are born every day during a 3 week period. 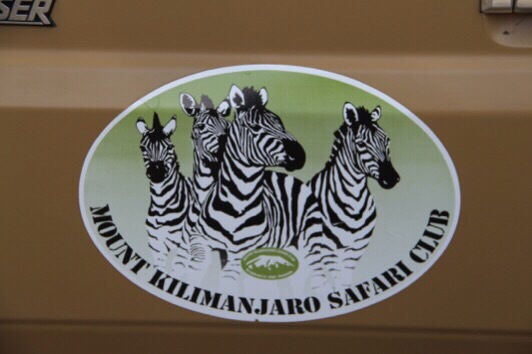 Our ground operator Mt Kilimanjaro Safari Club (MKSC) has camps all along the migration routes in this area. We were in good hands. 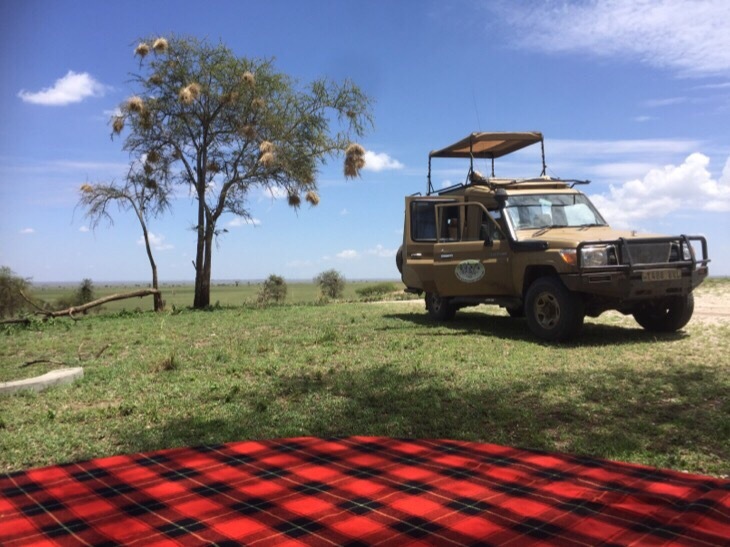 With wonderful sightings of lions at close quarters just minutes from our camp we headed back south towards Olduvai Camp, located in the Ngorongoro Conservation Area only 50 minutes from the crater’s northern gate and just an hour away from the Serengeti National Park. 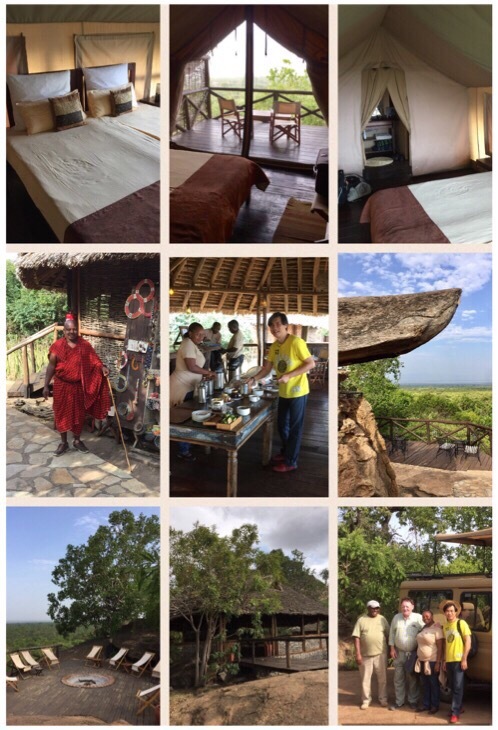 Olduvai is a must, an ultimate Out of Africa camp. The 17 tents are spacious and comfortable with ensuite facilities. The tents are built around a ‘Kopje’ (massive granite rock). From here we had wonderful full day game drives. Later we head across the vast Serengeti plains towards Ronjo camp. 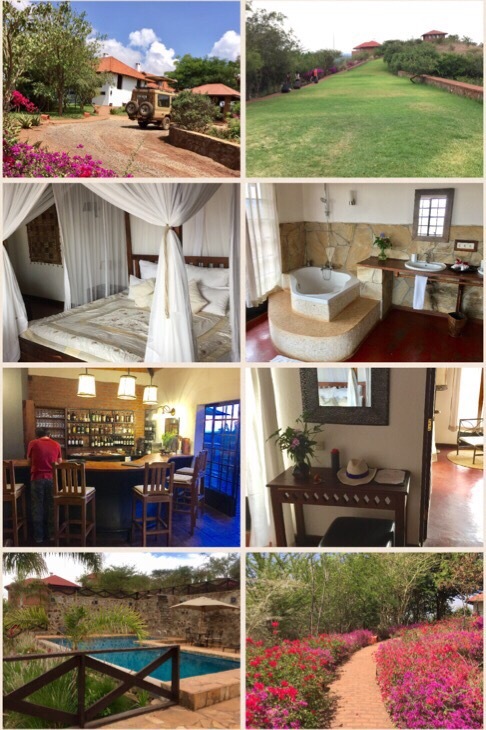 Located in the heart of the Serengeti National Park where we stayed 2 nights. From here we head north to the Grumeti Hills. Grumeti Hills camp is located in the Grumeti Game Reserve serve on the edge of the Serengeti National Park. The camp is on a hilltop location with amazing views of the Park. It was extremely comfortable and all 16 permanent tents were well decorated and ensuite. Even a fitted glass shower with heaps of hot water. The interior was huge. 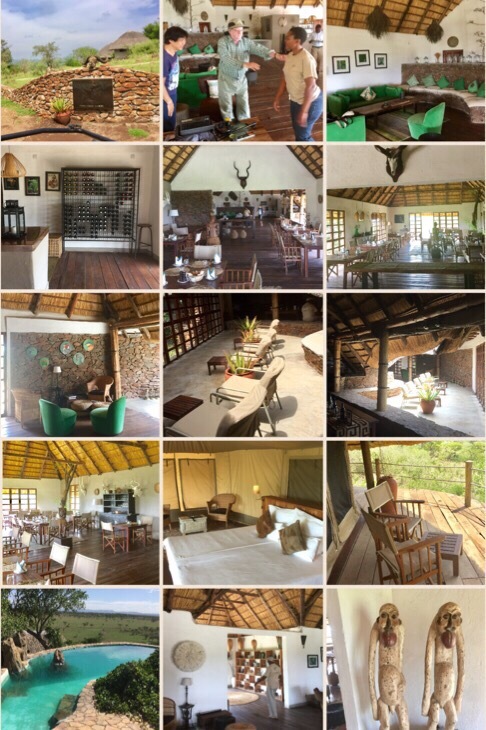 An impressive main building with a lounge, bar and restaurant decorated with a blend of modern and classic safari furniture. We had WiFi again after a four day hiatus and there was a hilltop swimming pool. How cool is that! Great views too. During our two day stay here apart from our regular daytime game drives we took a walking tour and also a night time game drive with hyenas scavenging in the headlights. Our time in Africa was drawing to a close. We headed to Ikoma airstrip for the short flight back to Arusha. We flew over the NCA and the sacred volcano ‘Ol Doinyo Lengai’, known to the Maasai people as the ‘Mountain of God’, it looked spectacular from the air. It last erupted in 1960. Our last night in Africa we would spend at Rivertrees Country Inn, just outside of Arusha. Rivertrees is a charming country estate that was once an old coffee farm, looking out over Mt Kilimanjaro, it’s sprawling ten acres of grounds is filled with greenery and birdsong. Elegant, rustic the guest-rooms are charming cottages that are dotted along the river, in thickets of tall trees. Each cottage has its own gate and pathway to the front door. Simply wonderful. In the morning we flew with Kenya Airways to Nairobi and from there back home to Bangkok. During the flight I reflected on my African adventure. The brochures had been accurate, their pictures honest and true. 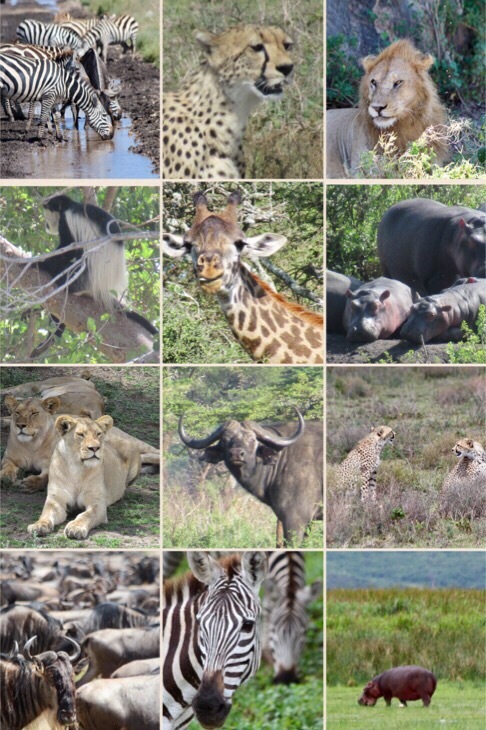 We’d had a fantastic time and had experienced a No 1 Safari which was simply World Class. My sister always asks, “Would I return?” when she sees my post at the end of one my trips. Andrew was born in Yorkshire England, a former professional hotelier he is a Skalleague, travel writer and director of WDA Co. Ltd and its subsidiary, Thailand by Design (tours/travel/MICE). Andrew is a former board member and Director of Skal International (SI), National President SI THAILAND, President of SI BANGKOK and is currently Director of Public Relations, Skal International Bangkok. A regular guest lecturer at various Universities in Thailand including Assumption University’s Hospitality School and most recently the Japan Hotel School in Tokyo, he is a committed mentor to Thailand’s future leaders. Wonderful memories one of our best trips EVER!